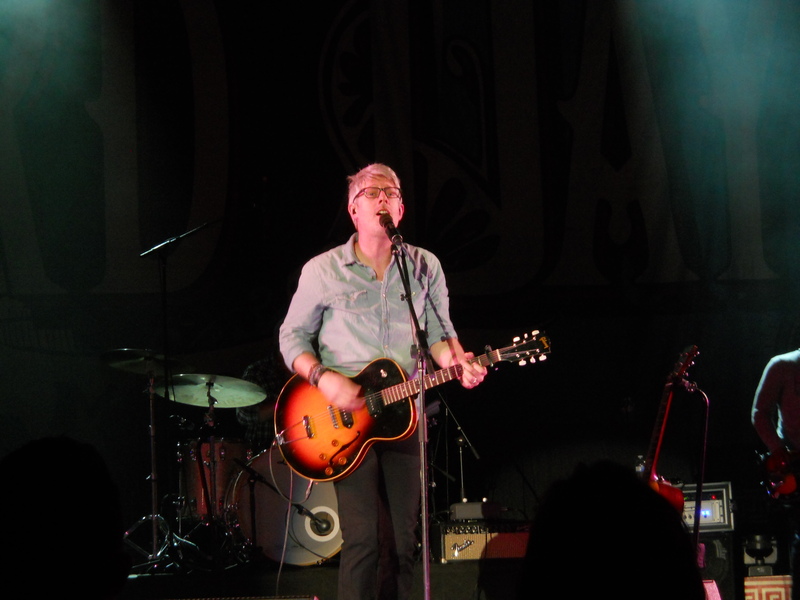 I had the wonderful, blessed opportunity to see Third Day, Matt Maher and Trevor Morgan in concert last night. If you get the chance, do not pass this tour up. At one point, Matt Maher (that’s him right there, see?) sang one of my all time favorite songs, “Love Will Hold us Together”. The chorus goes something like this: And I’ll be my brother’s keeper, so the whole world will know that we’re not alone. According to Blue Letter Bible concordance, it means what we think, to keep, preserve, protect. Even if you’re not well versed in the Bible, I’m sure you’ve heard of this phrase before. It’s Cain’s response to God when asked where Abel was. Of course, God already knew for He is all knowing but He wanted Cain to own up to what he’d done, take responsibility for his own actions. If we look to the verses leading up to Cain’s murderous actions (did I forget to mention that part), we see the brother’s brought offerings to God. Cain brought some of the fruits from the soil whereas Abel brought fat portions from some of the firstborn of his flock. The difference between the offerings was that one was a first fruit, the other was not. Thou shalt not delay to offer the first of they first fruits and of thy liquors: the firstborn of they sons shalt thou give unto me. I want to mention, as a little side note here, that the liquors referred to in Exodus 22:29 was most likely not just for the juice of grapes, but that from the olive trees and so on. So, back to this whole Cain and Abel thing. We see by God’s decree in Exodus how important first fruits are to Him. And I’m betting that it has more to do with the condition of Cain’s heart. He (Cain) withheld the rightful praise and worship due God as his (Cain) divine Creator. A praise and worship that should have come naturally from an all-consuming love of his Heavenly Father. One thing I find interesting is that Cain took his brother, under false pretenses I am sure, to the fields. Out of Cain’s jealousy over the relationship between Abel and God, he (Cain) shed Abel’s blood, which just goes to show that Cain didn’t quite get it. You see, when Abel brought his sacrifice before God, it was from the first fruits of his flock, which meant blood was spilled. Cain must have believed that God would only accept a blood offering. Cain sought to one-up his brother by bringing a human offering, not some silly little goat. It wasn’t until God handed down Cain’s punishment that Cain began to realize that, “…I will be hidden from Your presence.” (NIV Genesis 4:14) It was then, even if it was just a little thought in the midst of many, that Cain realized he didn’t want to live outside of God. I have to wonder if Jesus thought back to Cain and Abel and the senseless murder. If Cain had loved the Lord with all his soul, mind and strength it would have been evident in his actions when he brought his offering to God. And if Cain had loved his brother as himself–been his keeper–he would have kept him, preserved him and protected him. My question for you today is, are you your brother’s keeper? Are your actions toward those in your life reflecting the fruits of the Spirit mentioned in Galatians chapter 5 (love, joy, peace, patience, kindness, goodness, faithfulness, gentleness and self-control)? Or are your actions reflecting opposite? If you’d like for me to pray for you today, just leave a comment. You don’t have to be specific, you can just simply say hi and I’ll know you want prayers.